Fayetteville was one of 10 cities recognized this year by the Sierra Club for its ambitious commitments to be powered with 100 percent clean, renewable energy. 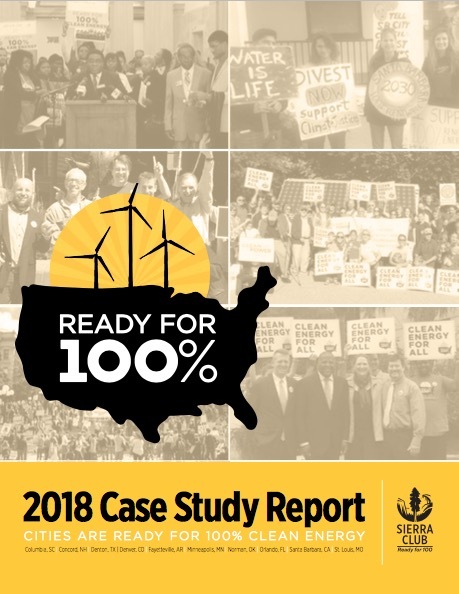 The organization’s Ready For 100 report provides examples on how leaders can power their cities with 100 percent clean, renewable energy. Fayetteville was the first city in Arkansas to commit to 100 percent clean energy in its Energy Action Plan. The plan, which was adopted in January, outlines ways that Fayetteville can power all government operations with 100 percent clean energy by 2030 and the entire community by 2050. It provides a framework for the city’s ongoing efforts to be a resource- and energy-efficient community, and addresses local effects of climate change, energy efficiency efforts, and clean energy production. 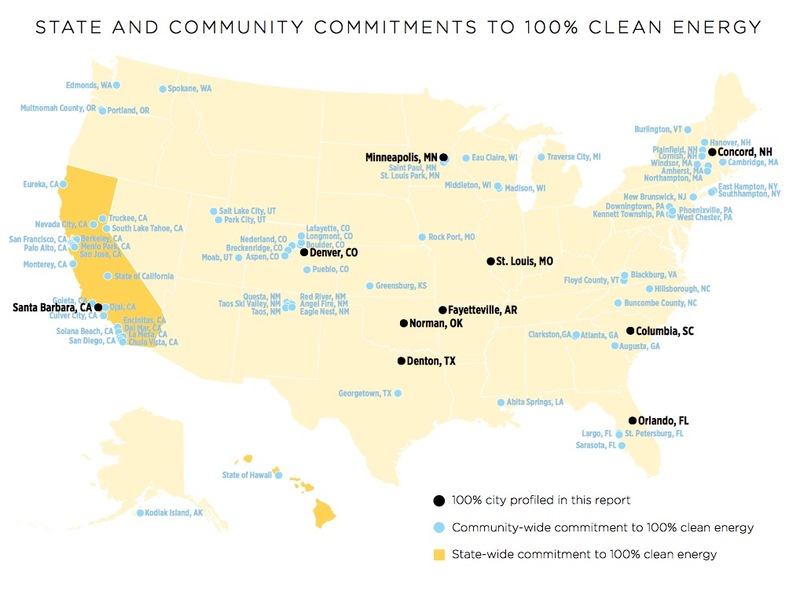 According to the report, more than 80 U.S. cities have now committed to transition to 100 percent clean energy, including big cities like Atlanta, Georgia and small towns such as Abita Springs, Louisiana. At least six U.S. cities have already achieved 100 percent clean energy and are powered today with entirely renewable sources. Other cities listed in the 2018 report include: Columbia, South Carolina; Concord, New Hampshire; Denton, Texas; Denver, Colorado; Fayetteville, Arkansas; Minneapolis, Minnesota; Norman, Oklahoma; Orlando, Florida; Santa Barbara, California; and St. Louis, Missouri. Fayetteville Flyer has specific guidelines for commenting. To avoid having your comment deleted -- or your commenting privileges revoked -- read our Comment Policy before you comment. Violators will be banned from commenting. Report a comment that violates the guidelines to contact@fayettevilleflyer.com. Commenters on the Flyer are responsible for all legal consequences arising from their comments, including libel, infringement of copyright or actions that threaten a third party. By submitting a comment, you agree to indemnify Wonderstate Media LLC, its partners and employees from any legal action arising from your comments. The Flyer focuses on free news that's specific to Fayetteville. Because of that, our readers are local, and they're loyal to the businesses that support their daily source of information. Let us help your company deliver its message to our ever-growing audience. To talk about becoming a sponsor, call 479-387-1002 or email us.